Replacing the UV lamp in your Trojan UV system is essential to maintaining optimal performance. Ultraviolet light water filters are a highly effective way to protect your water supply from bacteria, viruses, cysts, and many other organisms. Ultraviolet (UV) systems use a specialized UV lamp that produces high quantities of damaging ultraviolet light. Any organisms passing by the light are destroyed. Ultraviolet systems do not add any dangerous chemicals to the water and are very easy to install and maintain. Big Brand Water Filter UV lamps are made in the USA. Original OEM lamps are often made overseas. USA made is your assurance of quality. 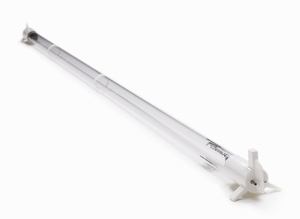 All Big Brand Water Filter UV lamps, quartz sleeve and accessories are USA made and built to Big Brand Water Filter•s stringent standards are guaranteed to meet original equipment specifications. Some UV manufacturers may tell you that using genuine Big Brand Water Filter UV lamps voids the warranty on the equipment. It is illegal for them to force you to buy their lamps in order to maintain a warranty. It is a violation of the Sherman Anti-Trust Act.